The World Heritage Belem Tower is to Lisbon what the Eiffel Tower is to Paris or Big Ben is to London. It is the city's most photographed landmark, which along with the marvellous Jeronimos Monastery should top your list of must-see monuments. 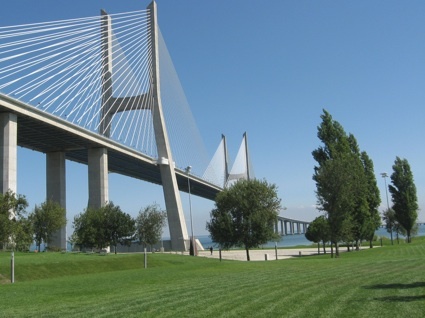 But Lisbon's biggest attraction is the city itself, a city that is not spruced up for the tourist to see, but an authentic place that stands out in such an increasingly homogeneous world. Although it boasts a range of must-see sights, its biggest pleasures are its street life and setting, admired from a pavement cafe, from the top of a hilltop miradouro, or simply by wandering around the atmospheric "bairros." The resting place of explorer Vasco da Gama is a church built in the 1500s as part of a magnificent monastery. Its cloisters are considered among the most beautiful in the world and has been listed as a World Heritage Site. The city's icon is also a symbol of the Age of Discovery. Built in the early 1500s, this ornate watchtower has been declared a World Heritage monument by UNESCO. From the millennium-old battlements of this castle you have a bird's-eye view of the city in the company of roaming peacocks. Inside is a small archaeological museum and down the hill are a couple of terraces with perfect postcard views over Alfama, the city's medieval village-like neighbourhood. Contrasting with the city's oldest neighbourhoods is this 21st-century district showcasing striking contemporary architecture with Europe's longest bridge as the backdrop. It includes a state-of-the-art aquarium, a casino, and a wonderful waterfront promenade. See what the gold found in colonial Brazil was able to pay for, hidden in the surprisingly rich São Roque Church. The Chapel of St. John the Baptist inside is a European masterpiece (what look like paintings are actually mosaics!) 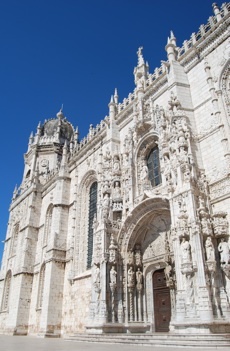 made in Rome for this Lisbon church, and to see more baroque magnificence head to Santa Catarina Church nearby.